When you lay a concrete finish, you do not want to cure it too quickly. When concrete it cured in a rush, it can become brittle and easily broken. 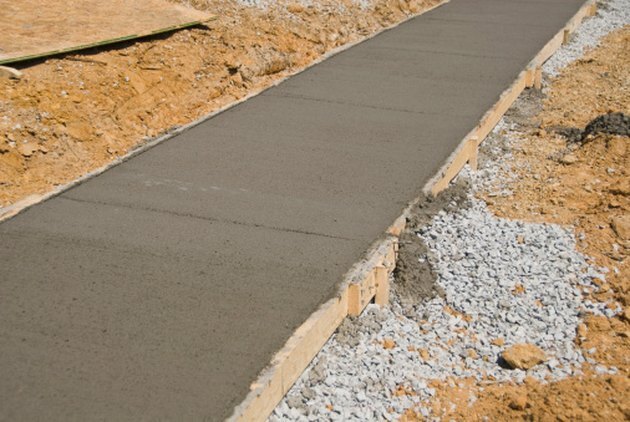 A solution is to take the appropriate measures to cure the concrete at the optimal speed while still ensuring you are left with a strong, sturdy finish. The process of making sure the it cures in an appropriate amount of time is something that you should know about before you start pouring the concrete. Curing concrete is a multi-stage process. Maintain the right temperature for curing the concrete surface. Otherwise, the process will be slowed. Keep the temperature of your concrete above 50 degrees Fahrenheit. Cover up the newly poured concrete with curing blankets to speed the curing process. If you do not have curing blankets, you can use plastic sheets instead. Sprinkle the concrete every once and a while throughout the curing process with a liquid membrane-forming curing compound. This is the best method to use for colored concrete. For acid stained concrete, hydrate the concrete with water, such as from a hose or sprinkler, instead. J. Johnson has been completing freelance writing work since September 2009. Her work includes writing website content and small client projects. Johnson holds a degree in English from North Carolina State University. Should You Cover Concrete With Plastic to Help Curing? How Long Does Concrete Take to Cure?